Once you take on the lower-paying project, what happens when a higher-paying project comes in? Lowering your rate shows the client that, at least some of the time, you’re willing to work for less than your stated rate. Lowering your rate can cause you to feel resentful of the client or the project (even though you’re the one who agreed to the lower rate). But what happens when, for whatever reason (interest in the client, interest in the subject matter, interest in bringing in more work in general), you’re offered a lower-paying project and you want to accept it? What other factors might you negotiate with the client? A longer deadline. If you really want the work, but you and the client can’t agree on a rate, ask the client to extend the deadline. This protects you from having to turn down higher-paying work during the lower-paying project. The non-translation tasks. Can the client’s admin staff do some of the formatting? Retype numbers from a PDF? Create tables? Do the annoying double-column layout that you’re dreading? Decipher the handwritten notes in the margins? Faster payment. If you really want the work, can the client reduce their payment terms from 30 or 45 days to, say, 10 days? Name recognition. Especially for a direct client, you may be able to negotiate for your name, website, etc. to be included on the translation. This can be appealing if the translation will be published/exhibited/distributed. In certain circumstances, you might also consider doing the job for free instead of reducing your rate. This sounds a bit nutty, but here’s an example: one of my A-list clients approached me about doing a translation for a charitable organization that one of their employees was involved with. In light of the pro bono nature of the project, what was “my best rate?,” they asked. Here, I thought of item 2 on the list above: if I said “I’ll do it for half of my normal rate,” the bottom line would be that, at least some of the time, half of my normal rate is fine with me (which it’s not, even though I really like this client). So in that case, I preferred to do the translation for free, as a contribution to the charitable organization, rather than at a reduced rate. Obviously, the best option is to have enough work at your regular rates that you don’t need to pursue these options. But I think many/most freelancers end up in situations where they feel torn: the project doesn’t pay their standard rate, but for some reason they want to take it. Readers, other thoughts? First! Yes, Corinne, I sometimes do something free of charge to avoid accepting a lower rate or a rate ‘quoted’ by a direct client. That allows me to lose some money but keep my rate intact in the long run, while also becoming more or less immune to any accusation of only being in it for the money. Also, unpaid projects tend to give you a lot more leeway with the terms. Out of the non-price factors you mentioned, I believe name recognition to be the most important. Preferably not just credit — not having our basic right violated once is hardly a victory in negotiation — but rather something more heavily on the promo side. This could include the right to use the text in your portfolio, or with your students as a test task or reference material, or both. Those are things admin staff at the client’s and at the agency should be doing anyway, as long as you aren’t passing yourself for a boutique agency yourself, in which case you’d be presumed to have your own office staff or otherwise have office jobs handled on your own end. For practical reasons and sheer human decency, as well as the 21st-century social climate it could be difficult to try and have the client’s secretary or the agency’s office staff create tables and type numbers, but precise formatting falls under DTP, and particularly ugly or difficult (e.g. 18th-century freehand) falls under transcription, the two of which are additional services, not translation. 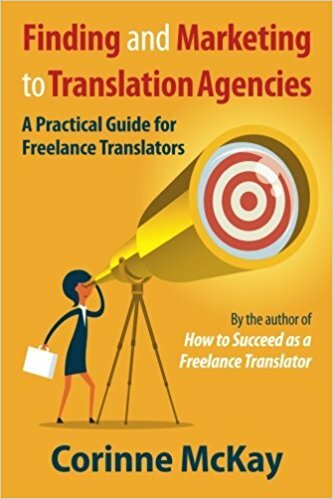 It’s important to realize and always keep in mind that translators are neither secretaries nor generalist subcontractors. I always make a point of this, though I usually don’t even mention the numbers or tables — I don’t want them mentioned separately or taking any part in quality assessments etc., so the less they are talked about, the better. Except when a client tries to expressly include them in the scope of the order, which only happens with agency clients (clients of agencies); my own direct clients would never think of anything like that, they respect me too much and agencies would neither, unless passing it on, and then probably only rarely. I accepted a lower hourly rate for an interpreting job, from an agency I had not worked with previously. This was because I did not yet have much experience with the medical interpreting, even though I was qualified because my legal interpreting included mostly medical cases. I’m so glad I took the job, because now I have the confidence to add medical interpreting to my marketing. But aside from this exception, I agree with you completely Corinne! Thank you for all the help, your book helped me get started. That’s is so right on, Corinne! In my presentations I always reinforced the “add value to your work,” “stand out by what you offer” approach. Money is not the only currency we can trade on. Thanks for the tips. I’ll keep them in mind. The summer is sometimes a bit slow, so I can probably use them 🙂 I’ll share this blog on my two FB pages. Great tips! I have found that people who try to haggle a lot on the price also tend to demand unreasonable deadlines. As a somewhat new translator my first reaction was to try to be accommodating… very bad idea! I wonder what this phenomena is… although I have also heard this is true in other fields, like car sales. The most unsatisfied customers always get the best deals, and for some reason they are still unsatisfied or want more.